Septic arthritis is characterized by the infection of the joint. Infections of the bones and joints are uncommon and can be fatal. Therefore, septic arthritis is a medical emergency. Because of the high fatality rate in septic arthritis, any case of arthritis should be considered as septic until proven otherwise. The key to the successful treatment of septic arthritis is the early diagnosis and treatment. Septic arthritis/ infectious arthritis refers to the invasion of the joint space by microorganisms such as bacteria, viruses, and fungi. The estimated annual incidence of septic arthritis in the developed countries is around 2 per 100,000 persons in the general population. The incidence of septic arthritis in Western Europe is higher and estimated to range from 4 to 10 cases per 100,000 general population per year. The incidence of septic arthritis in populations of a low socioeconomic status such as the aboriginals in Australia can be as high as 29 cases per 100,000 per year. 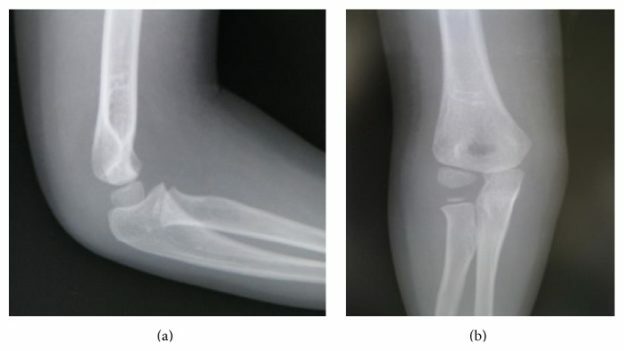 The incidence of septic arthritis in children ranges from 5 to 12 cases per 100,000. In the united states, the incidence is approximately 7.8 cases per 100,000 people in the population. The mortality rate in hospitalized patients with septic arthritis in the United States of America is around 10%. Because of the high mortality rate, epidemiological studies were done to understand why the risk of septic arthritis has been increasing in the last few years. Gonococcal arthritis represents up to 75% of the cases of septic arthritis, especially among sexually active teens. Other common organisms include Staphylococcus. Increased incidence of orthopedic-procedure-related infections. This has to lead to increased cases of prosthetic joint arthritis to a rate of 6-10% of the total arthritis cases. The most commonly involved organism in septic staphylococcus aureus which is responsible for up to 56% of the cases. Recently, methicillin-resistant staphylococcus aureus has emerged as a cause of septic arthritis. Staphylococcus aureus septic arthritis is more commonly seen in patients undergoing orthopedic procedures. Streptococcus septic arthritis is also common in adults, with streptococcus pyogenes being the most commonly isolated microorganism belonging to streptococcus spp. Streptococcus septic arthritis is usually associated with the history of chronic diseases, autoimmune disorders, skin infections, trauma, and is more frequently seen in the elderly. Pneumococci and gram-positive bacilli have been also reported as possible causes of septic arthritis, however, they are not common. Gram-negative cocci are responsible for 20% of septic arthritis cases, with Neisseria gonorrhoeae, and Neisseria meningitidis is the most common causative organisms belonging to this family. Direct inoculationby medical procedures or trauma. Contiguous infections from a focus. Hematogenous spread which is the commonest route of spread. The synovium is highly vascularized and there is no blood-barrier to prevent bacteria and other organisms from accessing the joint space. Moreover, the joint fluid is considered as an excellent environment for bacterial growth once bacteria gain access. Joints that have undergone some destruction such as after rheumatoid arthritis are more susceptible to infections due to increased adhesion and also neovascularization of the joint. If the host is immunocompetent, a protective immune response is initiated to eliminate the causative bacteria. In most cases, however, the infection cannot be halted, and the patient eventually develops sepsis. This leads to the destruction of the articular cartilage, inflammation of the joint space and resulting pannus formation. Large effusions may form impairing blood supply to the region and thus necrosis and death of the joint arises. Patients present with a two-week history of fatigue, erythema, tenderness, and decreased range of motion affecting single joint. Fever is a common finding in septic arthritis, however, it is usually mild. One-third of the patients would develop a fever with a temperature above 39°C. Predisposing factors such as rheumatoid arthritis, history of orthopedic procedure, or other autoimmune diseases should be explored in patients presenting with septic arthritis. While septic arthritis is usually monoarticular, polyarticular septic arthritis has been reported in immunocompromised patients. Finally, any patient presenting with an acute joint disease should be considered as a case of septic arthritis until proven otherwise. The definitive diagnosis of septic arthritis is made by the direct demonstration of bacteria in the synovial fluid or after culture of the pathogen. In most cases, however, a clinical diagnosis with supporting laboratory testing is all that is needed. Laboratory tests show an elevated erythrocyte sedimentation rate, high C-reactive protein level, and leukocytosis. White-blood-cell counts higher than 50,000 per cubic meter in the synovial fluid are highly suggestive of septic arthritis. Blood cultures might be positive in up to 70% of the cases, therefore, they should be requested in all patients suspected to have septic arthritis. Aspiration of the synovial fluid in any patient presenting with a swollen joint is a mandatory step in the diagnostic workup of septic arthritis. In addition to the count of white-blood-cells in the synovial fluid, it is also recommended to measure joint-fluid glucose and lactate levels. An elevated joint lactate level and a joint-fluid glucose level below 40 mg per dL supports the diagnosis of septic arthritis. The first imaging modality in septic arthritis to be requested is plain radiography. Osteopenia is commonly seen. If the infection is severe, diffuse joint space narrowing might be seen. Ultrasonography is helpful in detecting joint effusions. A computed tomography scan of the joint is helpful in visualizing the local edema, bone erosions, and sclerotic changes of the joint. The most accurate imaging modality in septic arthritis is magnetic resonance imaging. It is important to remember that the definitive diagnosis of septic arthritis is made by the direct demonstration of bacteria in the aspirated synovial fluid. The mainstay treatment of septic arthritis is debridement and removal of the purulent material and the initiation of antibiotics as early as possible. The usual course of therapy for non-gonococcal arthritis is 2 weeks for streptococci and gram-negative cocci, 3 weeks for staphylococci and 4 weeks for pneumococci and gram-negative bacilli. It is recommended to start with a broad-spectrum antibiotic that covers all of the previously mentioned microorganisms, and then to move to a narrow-spectrum antibiotic once the etiological microorganism is identified. Reactive arthritis is a common and important cause of lower limb oligoarthritis and is seen in young adults. Reactive arthritis is characterized by a distinct distribution of the affected joints and a high prevalence of extra-articular manifestations. Reactive arthritis is precipitated by an infection at a distant site with genetic susceptibility in the host due to the presence of the HLA-B27 gene. The exact pathogenesis of reactive arthritis is still not clear; however, autoimmunity and cross-reactivity are possible explanations of the disease. The incidence of reactive arthritis is estimated to be around 30 per 100,000. The condition is most commonly seen in men aged between 20 to 40 years with a male to female ratio of 3 to 1. The risk of developing reactive arthritis is 50 times greater in people with the HLA-B27 gene. The most commonly preceding infections in reactive arthritis are non-gonococcal urethritis and bacterial enteric infections. Reactive arthritis Aseptic inflammatory arthritis triggered by infection at a distant site in a patient who is HLA-B27 positive. Reiter’s syndrome The presence of urethritis, conjunctivitis, and arthritis in a patient with infectious dysentery. Or Presence of peripheral arthritis for more than one month in association with urethritis or cervicitis. Uroarthritis Reactive arthritis that is secondary to a urinary tract infection. Sexually acquired reactive arthritis (SARA) Reactive arthritis in a patient with a recent history of a sexually transmitted infection. Rheumatic fever Systemic inflammatory illness with carditis in addition to arthritis after a history of group A streptococcal pharyngitis. Patients present with mild localized joint disease in addition to systemic manifestations. Monoarthritis and wide-spread polyarthritis are bot commonly seen in reactive arthritis. Enthesopathy, psoriasiform mucosal lesions, cutaneous lesions, inflammatory eye disease such as conjunctivitis, and cardiovascular lesions are the main extra-articular manifestations of reactive arthritis. And the demonstration of a positive HLA-B27 state in the host. Additional tests that may suggest the likelihood of reactive arthritis include testing urine samples for chlamydia infections. The differential diagnoses of reactive arthritis and how to exclude them are summarized in the following table. Should be excluded in any case of acute joint disease! Antibiotics are not helpful in the treatment of reactive arthritis. Non-steroidal anti-inflammatory drugs are first-line treatments for reactive arthritis. COX 2 inhibitors appear to be superior to non-steroidal anti-inflammatory drugs. Cases that are resistant to non-steroidal anti-inflammatory drugs might benefit from a single intramuscular dose of depot methylprednisolone in the dose of 80 to 120 mg. Oral prednisolone in the dose of 10 to 20 mg once per day tapered down over one week to three months is another approach for severe reactive arthritis. Patients with recurrent, chronic, or erosive reactive arthritis should receive disease-modifying antirheumatic drugs (DMARDs) such as sulphasalazine. Methotrexate and leflunomide might be also helpful in reactive arthritis, however, evidence supporting their routine use in clinical practice in reactive arthritis is still lacking. Physiotherapy is important in improving joint mobility and function. Hamdulay SS, Glynne SJ, Keat A. When is arthritis reactive? Postgraduate Medical Journal. 2006;82(969):446-453. doi:10.1136/pgmj.2005.044057.